Welcome to Hot Springs Campground! The Quiet campground! We are open all year long. 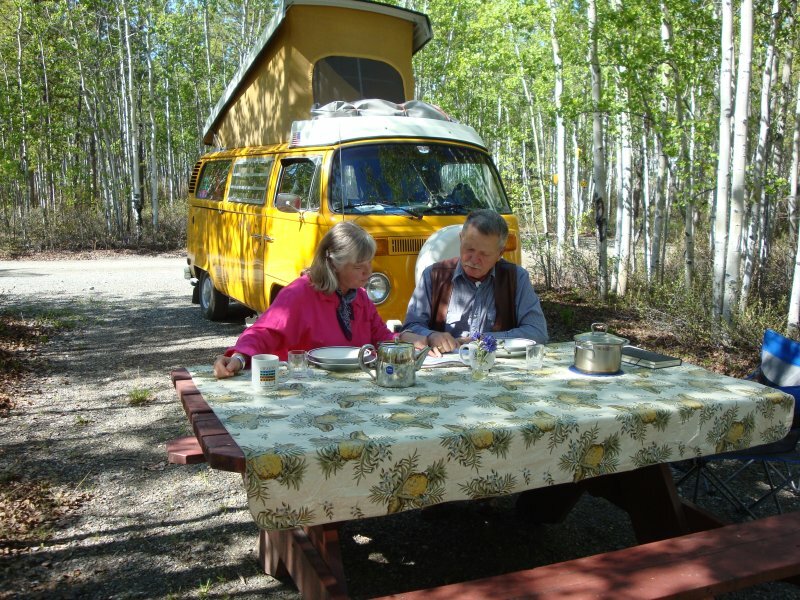 We invite you to stay with us in our wilderness RV Park and Tenting Sites here at Takhini Hot Springs. We are located 25 minutes from downtown Whitehorse and from the Whitehorse International Airport. 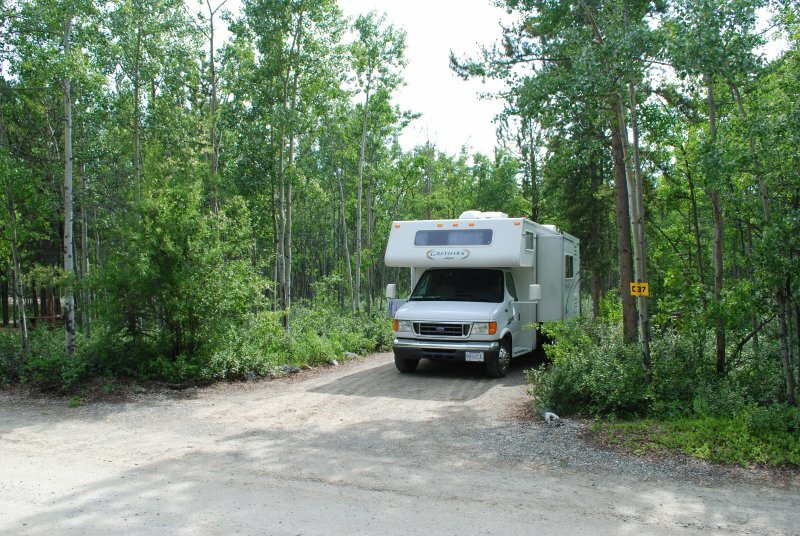 Hot Springs Campground & Hostel offers you wooded electrical RV and tenting sites in a quiet forest setting. The hot springs are just a short walking distance from the campground. We also have a large event tent for day-use. All customers of Hot Springs Campground & Hostel receive 20% off regular admission at Takhini Hot Springs as well as a 15% discount of admission at the Yukon Wildlife Preserve. *In April the campground will still be mostly covered in snow and as a result services will be limited; the dump station and the water station will not be open until May. Furthermore, the campground building will not be open during the month of April. There will still be power at sites and there will be outhouses available. You may request specific sites when making a reservation but it is not guaranteed that you will receive it. 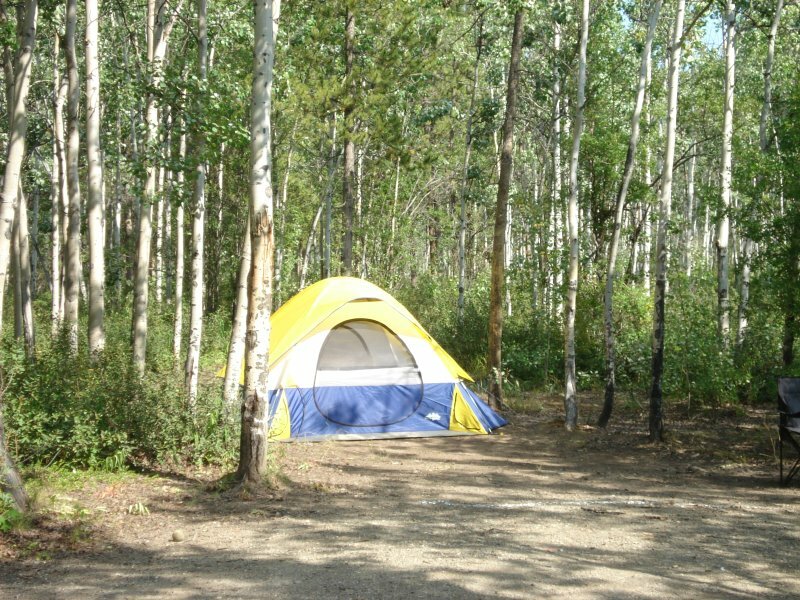 We reserve the right to move your reservation to another site should it be necessary for overall campground efficiency. Open All Year Long. Winter campers need to phone ahead or email in advance. During the winter season we are only open by appointment. Summer (May to August 31st): open daily from 8am to 10pm. Tent sites are based on 4 people per site. Sites are allowed 2 tents, extra tents are $5 per tent and must be approved at time of check-in (to prevent trampling of sites). If your group is too large you may need to rent the group campsite. P4 – large tent with electricity – $90 prices may vary with groups of 40 people or more. *Quiet time is 11pm. No music or shouting, campers must obey attendant if asked to be quiet*. We have people from around the world who come to the Yukon for a once-in-a-lifetime vacation. Most of our campers wake up early. -$10 non-refundable deposit must be paid upon confirmation of advanced booking..
-Deposit may be transferred to another date in the same calendar year. -Check out time is 11am. Guests will be charged another day if they have not checked out. -No ATVs, off-road vehicles or dirt bikes allowed on hot springs trails. -Dogs must be kept on leash at all times. Owners must pick up after their dogs and dispose of waste in the proper receptacles. Groups with more than 2 dogs must contact us in advance. *Violation may result in a fee of a minimum of $50, maximum $500. This fee will be calculated based on damage, loss of property, attendant and administrative fees, and refunds of other campers.